Escape from your cares and let your stress slip away at our luxurious Hawaiian spa in Kona, HI, nestled among the gentle slopes of Mauna Loa. 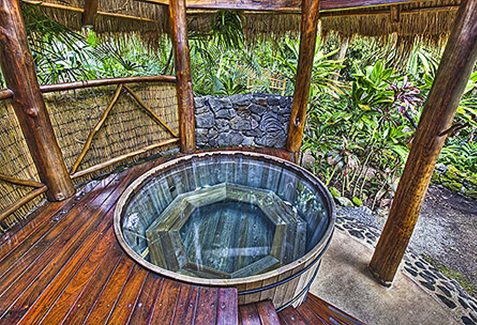 You’ll be able to ease into the warm, bubbling waters of our teak hot tubs and let the din of the world melt away. There's never been a better way to enjoy intimacy and seclusion in a lush tropical setting. Plus, you can enjoy a soothing couples' massage and revive your bond with your special someone, all in a gorgeous tropical haven. 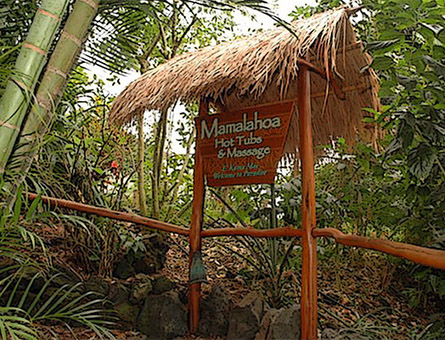 You’ve earned this opportunity to pamper yourself so let our staff at Mamalahoa Hot Tubs & Massage help you take advantage of our luxurious spa. Relaxation is just the beginning of how you can reap the rewards of our comfortable, welcoming hot tub sessions. 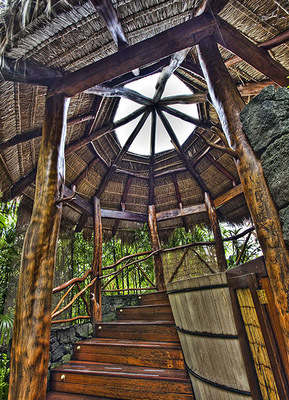 You can also enjoy our private venue and stargaze through the portholes or lose yourself in the hot waterfall showers. This is the perfect setting to renew your bond with your loved one and be one with nature. When you’re ready to enjoy an ultimate relaxation journey, let one of our skilled massage therapists help you and your partner achieve a deep and rejuvenating sense of peace and well-being. Our deep tissue massage is something that will provide you with inner peace. It's an incredible way to end your visit with us and leave feeling uplifted and refreshed. Whether you require a massage for medical reasons or because life has been hectic and you need a way to unwind, our talented therapists will help you accomplish a peaceful state. We’re set in a location that in itself provides great serenity to all who visit. An oasis awaits you—don’t hesitate any longer! Contact our serene hot tub and massage company to experience a peaceful, relaxing journey. 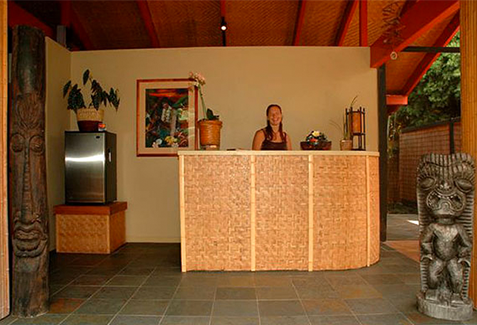 We proudly serve Kona, HI, and the surrounding area. At Mamahahoa Hot Tubs & Massage, we take pride in offering a uniquely relaxing massage experience that's off-the-beaten-path. Nestled along the misty gentle slopes of Mauna Loa, our Hawaiian spa offers guests a simple concept — warm bubbling waters to relax the nervous system and soothe the soul, and extraordinary massage by the best spa in Kona. 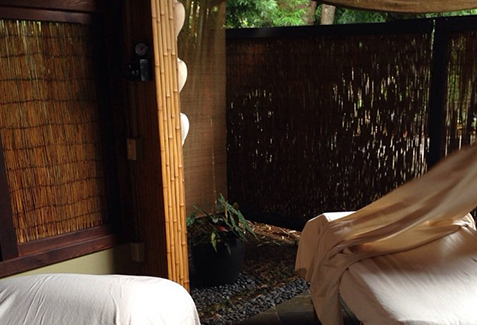 Our team is comprised of highly seasoned and well-trained massage therapists, all in a secret, tropical garden hideaway setting. Make an appointment and visit us in Kealakekua, Hawaii today.